Explanation: Will it be curtains for one of these auroras? A quick inspection indicates that it is curtains for both, as the designation "curtains" well categorizes the type of aurora pattern pictured. Another (informal) type is the corona. 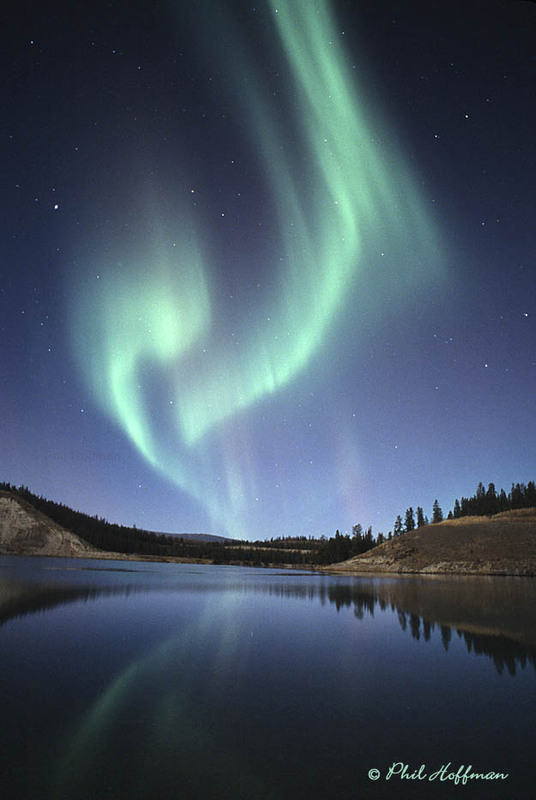 The above auroras resulted from outbursts of ionic particles from the Sun during the last week of September. A polarity change in the solar magnetic field at the Earth then triggered auroras over the next few days. The above picture was taken on October 3 as fleeting space radiation pelted the Earth's atmosphere high above the Yukon in Canada.